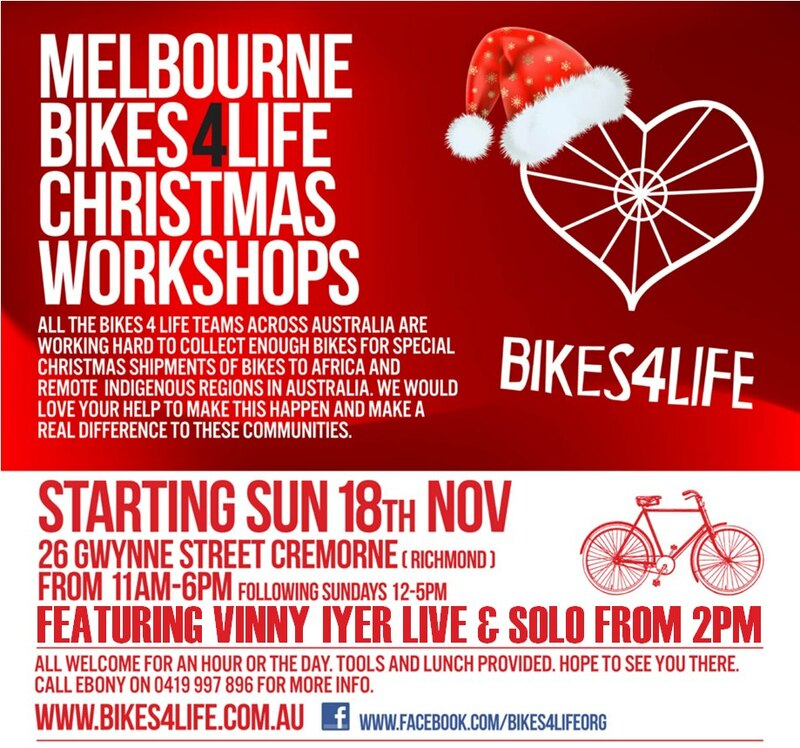 All the Bikes 4 Life teams across Australia are working hard to repair and collect enough bikes, spares and tools for a special Christmas shipment of bikes to Uganda and remote Indigenous communities in Australia. We would love your help to make this happen and make a real difference to these communities. BBQ and drinks provided with live acoustic performances from local artists including Zito Ballo and Vinnie Iyer!! This event is to kick off our weekly Sunday workshops and BBQs and to help get our bikes ready for another shipment to AFRICA!